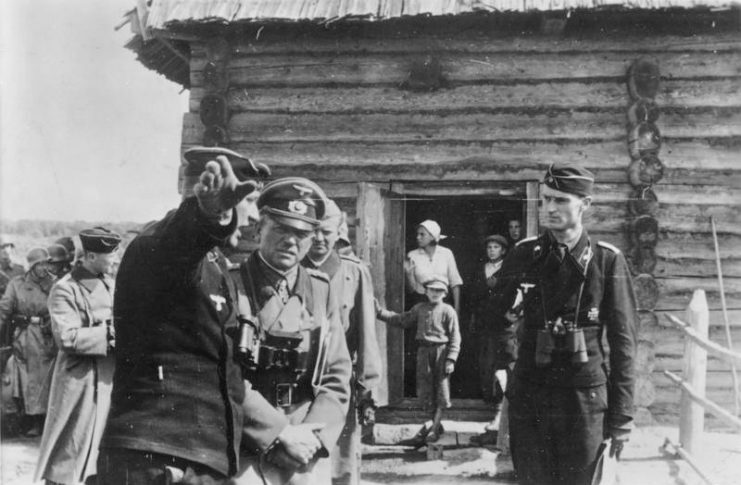 On December 18, 1940, Adolf Hitler signed Directive Number 21, calling for military operations against the USSR. 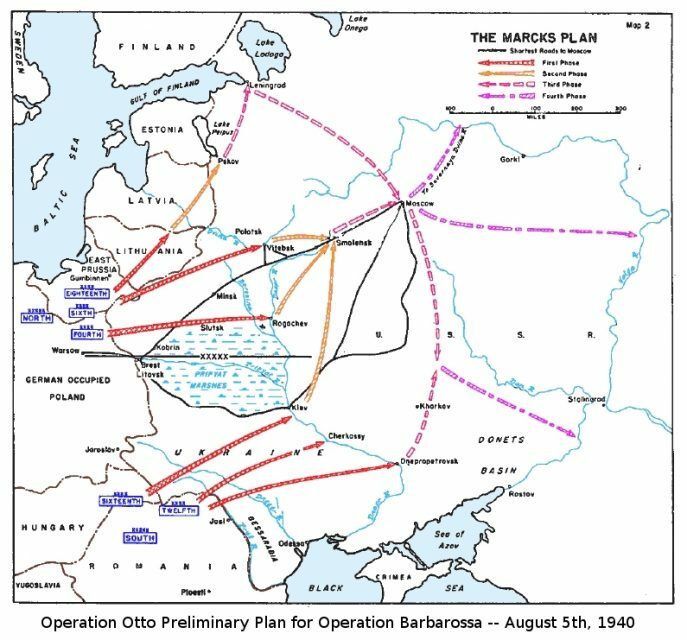 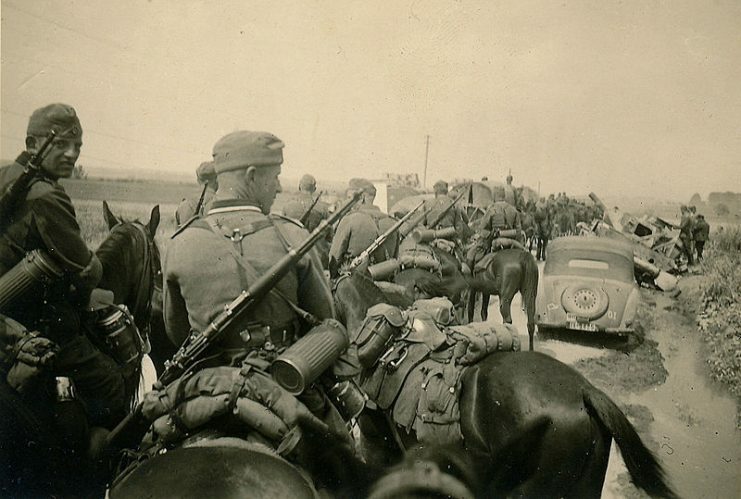 The plan, called Operation Barbarossa, was to use the tactics of the blitzkrieg for several months to defeat the Red Army and seize the Soviet Union. 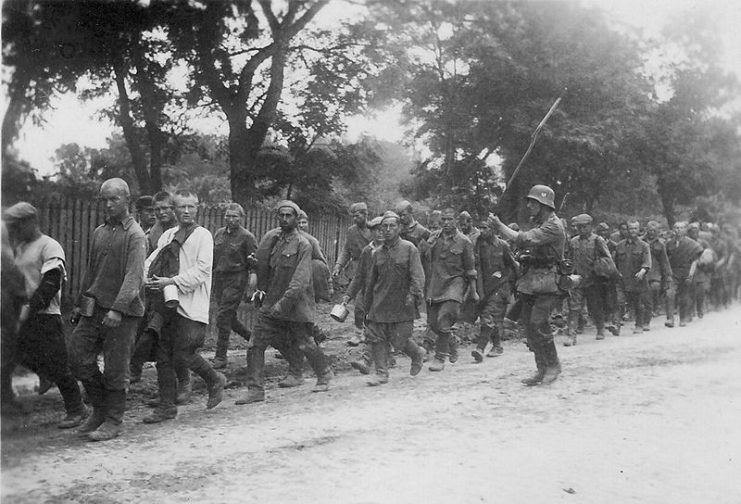 Leading up to June 22, 1941, four army groups with a total of 157 divisions and 12 brigades were created for the attack on the USSR. 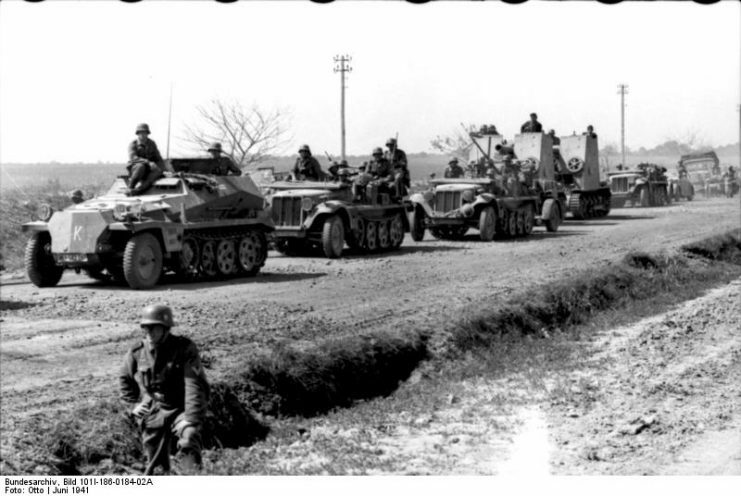 Taking into account the reserves, the eastern grouping had 183 divisions and 13 brigades. 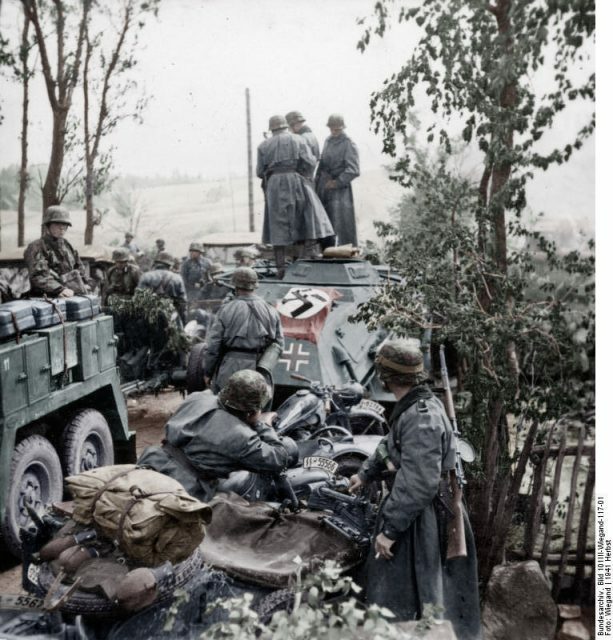 German military equipment numbered 4,215 tanks plus 402 more Axis tanks, 4,360 German and 964 Axis aircraft, and 43,812 German and 6,673 Axis guns and mortars. 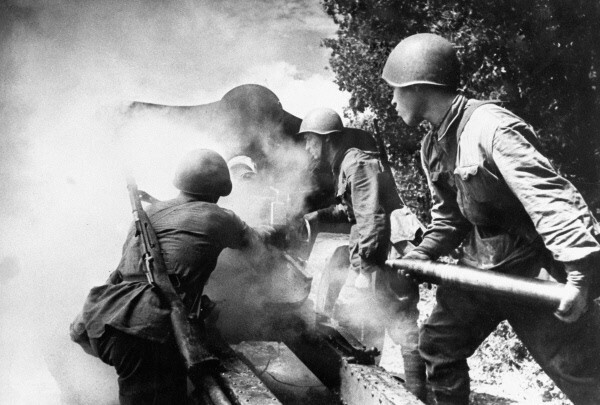 The Soviet Union had about 14,000 tanks, 9,000 aircraft–of which only bout 7500 were in good order–and 53,000 guns and mortars. 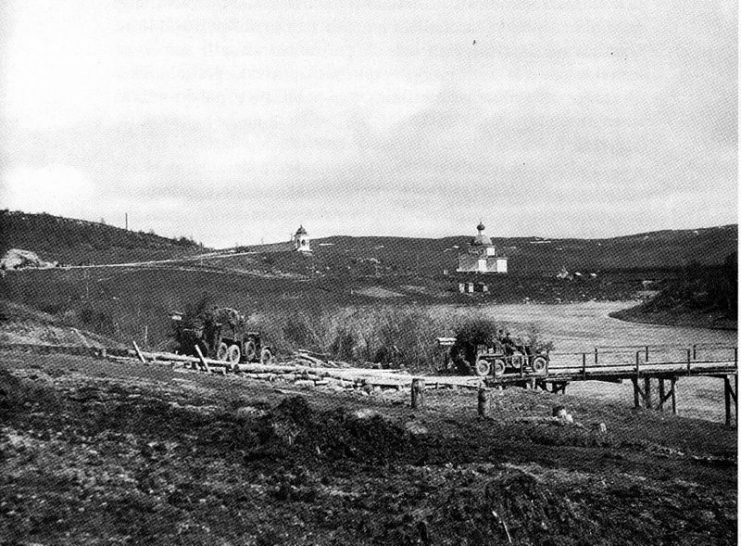 In addition, there were 182 ships and 1,400 combat aircraft in the Northern, Baltic and the Black Sea fleets. 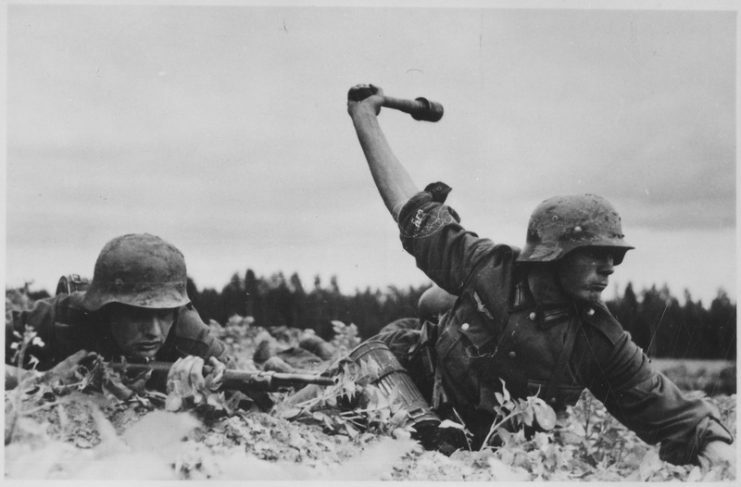 Some sources cite other figures for German and Soviet military equipment. 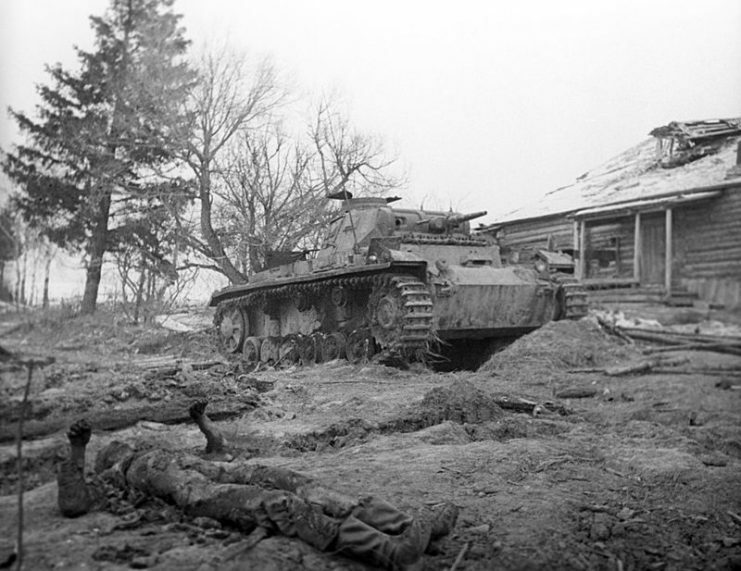 Light German tanks such as the 38(t), 35(t), T-I, and T-II showed excellent effectiveness against the Soviet T-26, T-35 and T-60 tanks at the beginning of Operation Barbarossa. 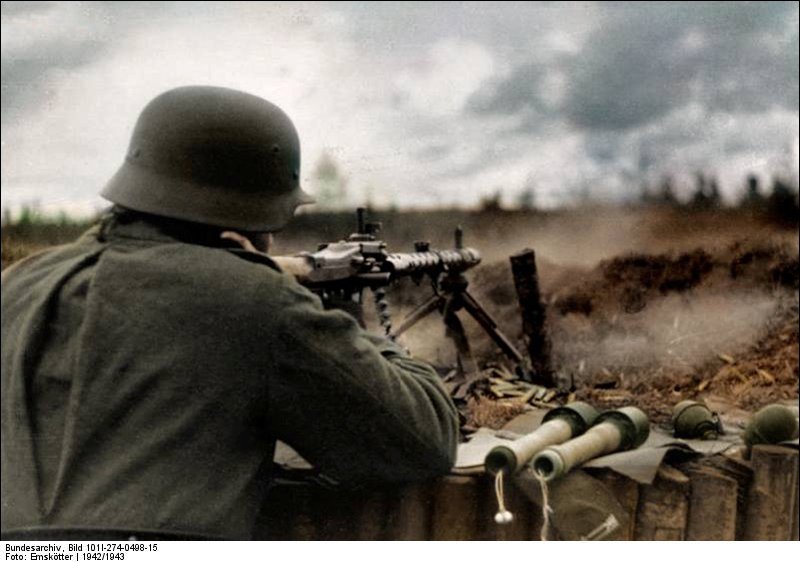 In addition to standard tanks with cannon armament, both sides used flamethrower tanks such as the Soviet HT-130 and the German T-II, which was based on a modification of the T-II Ausf.D. 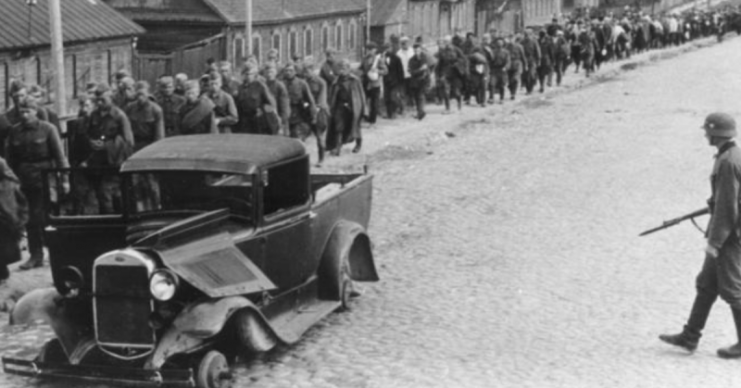 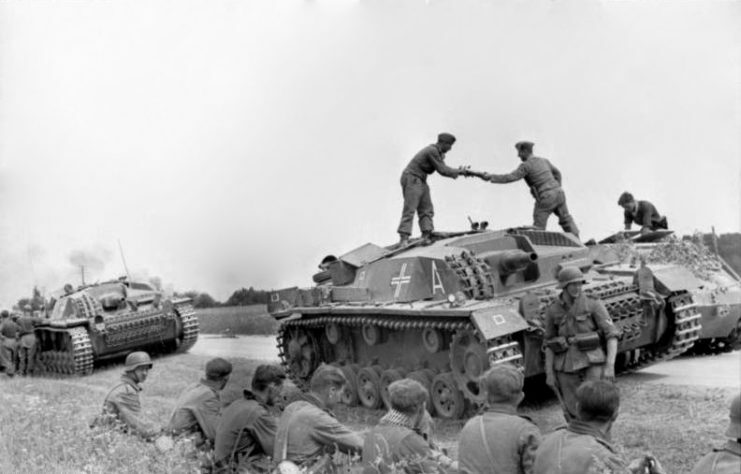 At the beginning of the campaign, about a quarter of all German tanks were the 38(t)s, but gradually their number was reduced through losses. 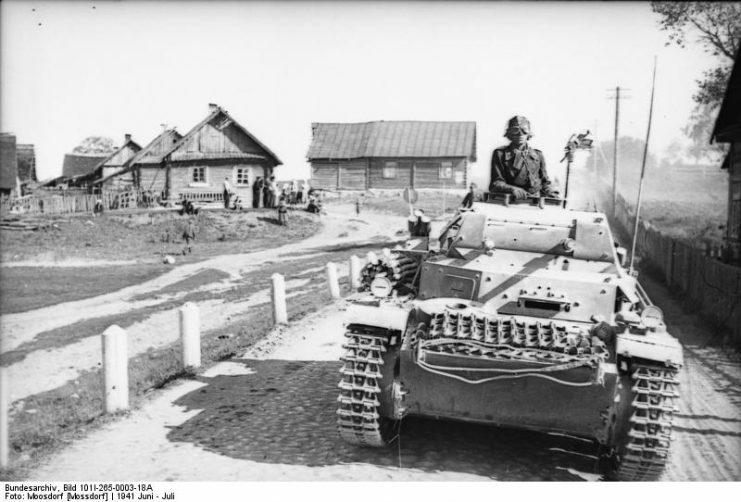 A large role was given to the Pz.III and Pz IV medium tanks and the StuG III self-propelled gun. 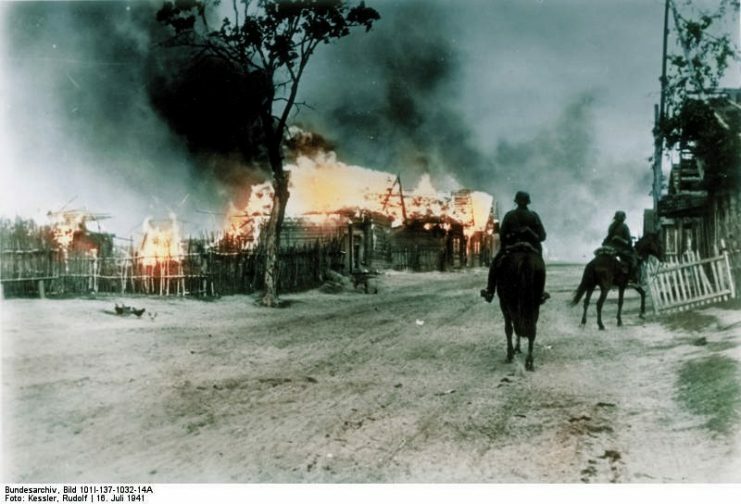 The interaction of tanks and aircraft led to the rapid destruction of Soviet hotbeds of resistance and their defensive lines. 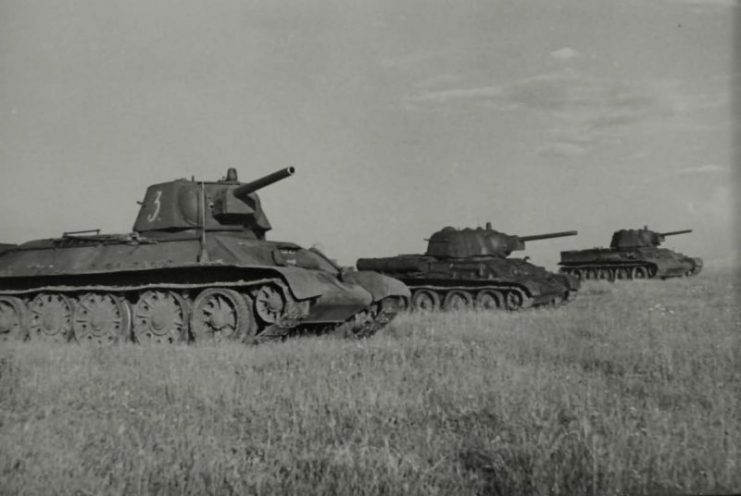 However, from the beginning of 1939 to the middle of 1941, the Soviet Union managed to produce about 1,225 T-34 medium tanks, 595 KB heavy tanks, and 3,719 new aircraft, including IL-2 attack aircraft; Yak-1, LaGG-3, and MiG-3 fighters; and IL-4 (DB-ZF), Pe-8 (TB-7), and Pe-2 bombers. 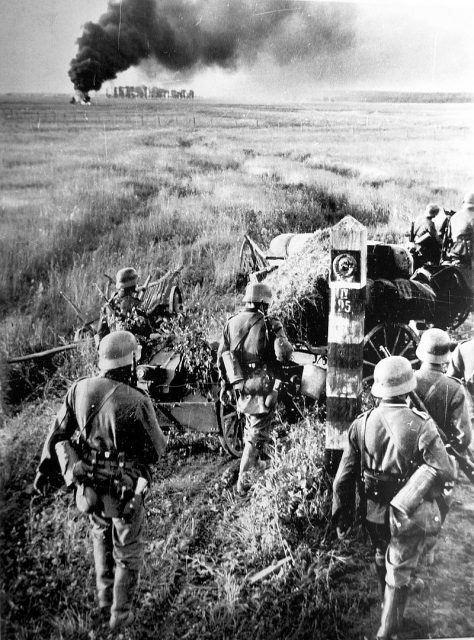 This military equipment, coupled with the location and steadfastness of the Soviet troops, thwarted the German blitzkrieg. 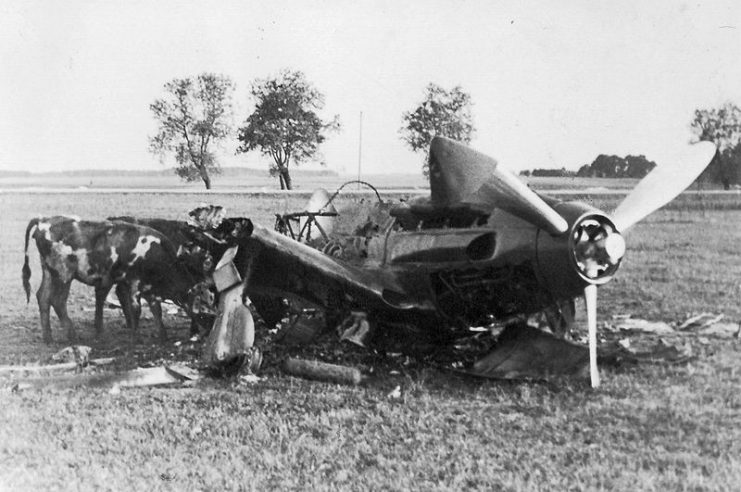 During the first month of fighting, Germany lost 1,284 aircraft, and after five months of fighting, they had lost about 5,180 aircraft. 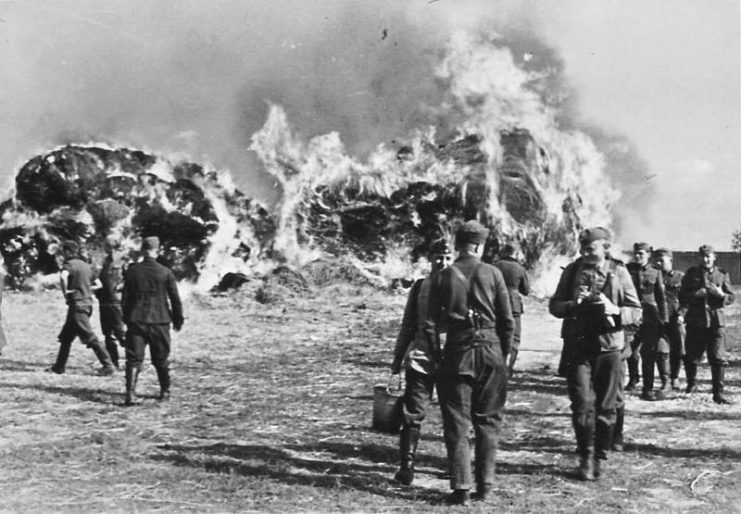 But behind every Soviet victory, there were huge human sacrifices, particularly due to the fact that a significant part of Soviet military equipment was obsolete and ineffective. 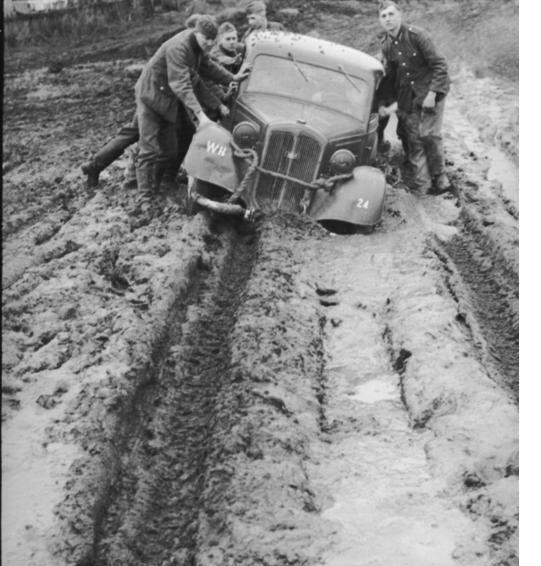 Not a small role in the initial German successes was played by the tactics of tank strikes with the support of bombers, little regarding Soviet improvisation. 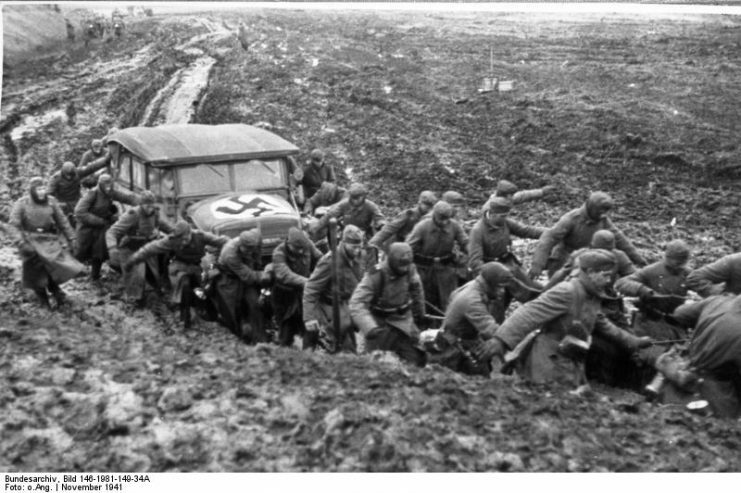 However, the “fast war” soon developed into a protracted one, which was a complete failure of the blitzkrieg strategy and subsequently led to defeat. 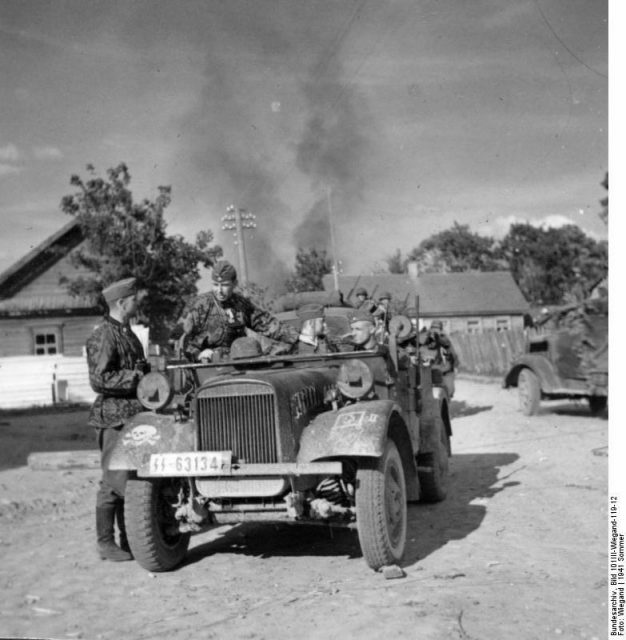 First German vehicles going over Petsamo River (Petsamo, Finland) during the attack on the Soviet Union. 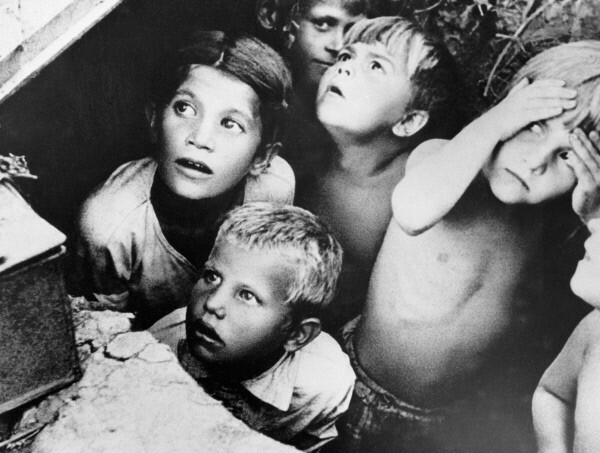 Soviet children during a German air raid in the first days of the war, June 1941.